It’s human nature that we reject few things more vehemently than something we have fallen out of love with. Relationships, religions, political ideals: when the revolution comes, outright dismissal is often easier than facing the difficult questions that life has a sadistic tendency to pose. Sharleen Spiteri hasn’t become a Buddhist or joined the BNP, but someone’s sure got her back up. Melody, her first solo outing after more than two decades in the business, is an album informed almost wholly by the dissolution of her 10-year relationship with magazine editor Ashley Heath in late 2004; that it’s taken her this long to air her feelings on the matter is partly a reflection of how deep her hurt ran and partly of her conflicting feelings about writing such personal songs, songs she didn’t feel able to release under the umbrella of her long-time sonic conduit Texas. Spiteri may look demure peering out from beneath that trademark dark fringe, her face half covered by a hand, but lyrically she’s pulling no punches. For all its pretty retro stylings, Melody bristles with the subverted promise of a Glasgow kiss if Spiteri doesn’t get her way. In the same manner as Nancy Sinatra expressed her reclamation of self through those famous down-treading boots, Spiteri declares her independence through song after song of mature, slinky, feminine soul. This is, of course, hardly what the charts are in want for more of, but Melody plays so much less like an exercise in marketing than it does the sound of a woman following her heart. White soul may have been the stock trade of Texas in their heyday – their urban flirtations rarely sounded comfortable – but on her own Spiteri has swapped her detached, tomboyish cool for a warm, viraginous strength. Opening up her voice in a way we haven’t heard for years, Spiteri is at her most effective on first track It Was You, belting out the ultimate in kiss-offs – “something inside just died… it was you” – ouch! If only Duffy’s ubiquitous Mercy hadn’t got there first, this could be a killer single. The transparency of involving Duffy mentors Bernard Butler and David McAlmont is unfortunate, but Spiteri wears their mantle well. While tasty first single All The Times I Cried provides a prime 1960s flashback, Melody goes one step further and leans so heavily on Serge Gainsbourg‘s Jane B he gets a co-write credit. This elegant weepie was the first song Spiteri wrote for the album and perfectly suits her dusky tones; that it could easily have slotted into Texas album The Hush is but a minor quibble. As a lifelong fan of Tamla Motown – revisit the excellent Texas cover of Marvin Gaye and Tammi Terrell‘s You’re All I Need To Get By for proof – Spiteri pays homage to its biggest-selling group The Supremes for the punchy Stop, I Don’t Love You Anymore, a finger-clicking, tambourine-tastic slice of deliciousness, and the seductive, brass-led Day Tripping. The Shangri-Las also get a look in (Don’t Keep Me Waiting) and the Sinatra influence is most keenly felt on the playful I’m Going To Haunt You. Here, Spiteri just about manages to stick to the right side of pastiche, only slightly risking a Geri Halliwell-style embarrassment. Had this album been made any sooner, it would surely have attracted more attention than it is likely to get. What it loses in the element of surprise, however, it gains in hard-won perspective and a lived-in authenticity that Duffy just can’t match. Still, with Rockferry shifting millions all over the world and showing no signs of slowing down, it’s hard to see Spiteri competing on that level. But it’s unlikely she’ll care. After all, she’s played the Next Big Thing role before and, 23 years later, is still here making the music she loves. And in such a fickle, trend-driven business you can’t do much better than that. 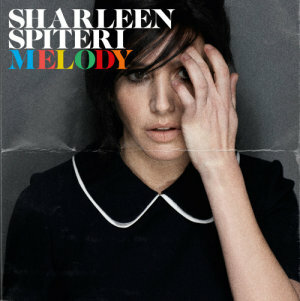 This entry was posted on July 29, 2008 at 5:47 pm and is filed under Album Reviews with tags Melody, Sharleen Spiteri. You can follow any responses to this entry through the RSS 2.0 feed. You can leave a response, or trackback from your own site.